With over 15,000 square meters of gaming space and a peak of over 210 meters, the Marina Bay Sands in Singapore is unequivocally regarded as the world's most expensive stand alone casino property estimated at over $8 billion SGD (roughly $7.6 billion CAD). Perhaps what makes this landmark truly remarkable is its iconic, giant ship situated atop the building's peak. 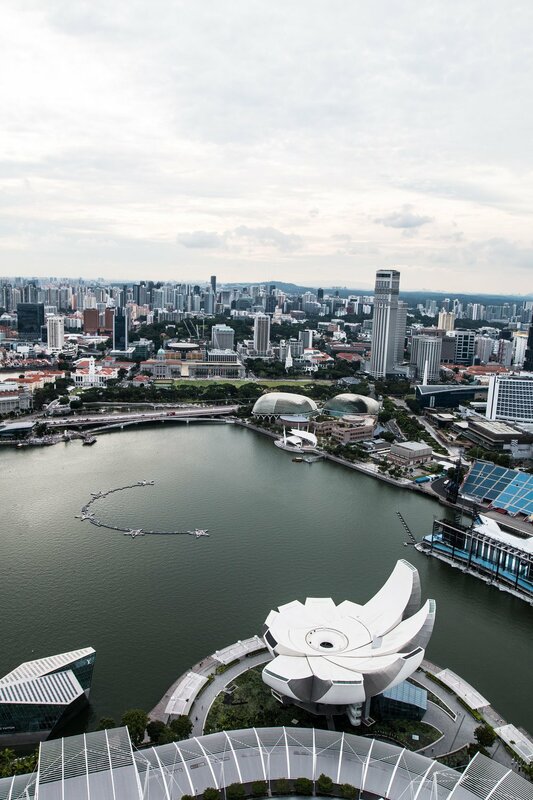 A hotel-casino with over 2,500 rooms, complete with its own rooftop infinity pool (available to guests, only, I'm afraid) the structure has become a true staple and sight to see while visiting Singapore. 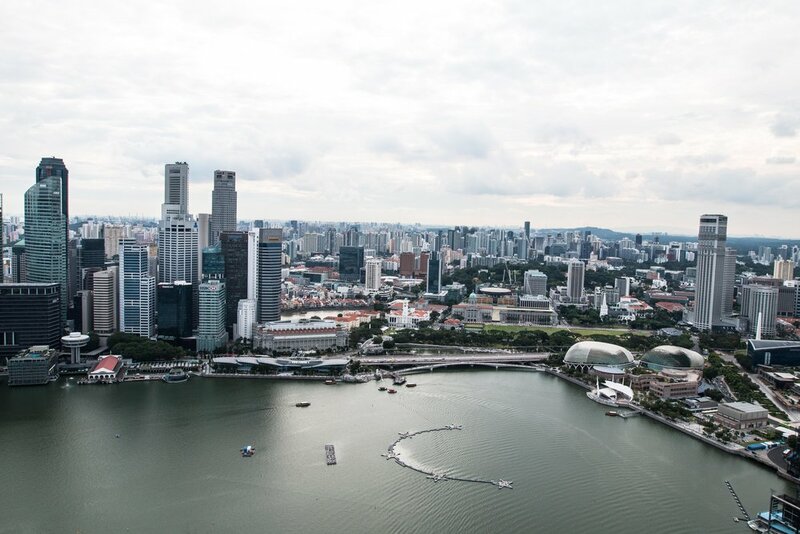 Funny story, upon arriving in Singapore and driving by the structure at night, our driver told us that there was once a massive typhoon that hit Singapore which washed a giant boat on top of a very large building. That building later became the Marina Bay Sands. Though obviously now a joke, the structure has certainly made its way into the folklore of the Singporean peoples. As a nifty little traveller's hack for all of you voyagers out there, you can actually buy a $20 SGD voucher for food at the ship's restaurant; a surprising $8 SGD cheaper than if you had simply purchased a ticket to the observation deck alone! 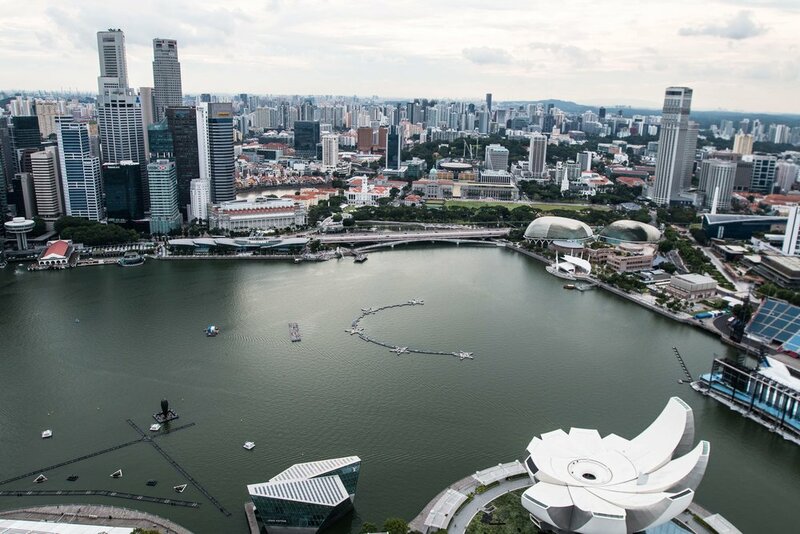 Gaining relatively the same view while grabbing a bite to eat, who wouldn't take the opportunity to snack-and-stare at Singapore's wondrous view for a discounted price? Though, as a caveat, a single beer at the ship's restaurant costs an astounding—$20 SGD! Buyer, beware.